Our April 2017 featured blogger is Dr Shahira from By Shahira. Dr. Shahira is a dentist by profession. Currently on a clinical break and is a stay-at-home mum to her 1 year old daughter. She is passionate about creative writing, her faith, dentistry and of late, attachment parenting and the likes. I started in January 2008 on Blogger with the only intention of honing my writing skills. I have always been a ‘Dear Diary’ kind of person growing up. So I wanted blogging to be the impetus to keep writing though I stopped journal-writing a long time ago. In January 2014, I moved over to a new WordPress blog to explore the genre of creative writing. I met many like-minded writers and my blog had started gaining traction. 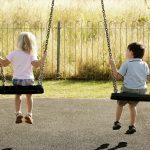 Marriage, pregnancy and a job made me take a small break in between since I could not handle all responsibilities together. 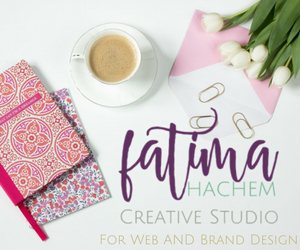 In September 2016, I went self hosted with ‘By Shahira’ with the main theme of blog as Motherhood and Muslim Lifestyle. My sister had a very successful blog in 2006 and frankly that is how I got to know about the blogging world. What’s the most challenging thing about being a blogger, a mother, a dentist and blogging? Time management is what I find the most difficult as a mom/blogger/dentist though all roles haven’t come concurrently until now since I resigned soon after my baby was born. Being a mother of a toddler, I cannot sit on the laptop for any blogging work without my laptop keys being taken off. So all my blog work is done early in the morning when my baby is asleep. Also taking photographs for the blog – there will be two tiny hands often photo bombing, but I keep it as is because that is the reality of being a mom. I had the chance to work with a local baby brand and attended some events here in Doha. The best part about blogging is all the people I have met offline and online and the sharing of different ideas and collaborating on some projects. 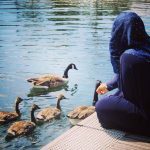 Also some of the bloggers from Muslimah Bloggers motivated me to send in my work as guest post and I got published in Sisters Magazine, Doha Family etc. It has been lovely seeing my work being published on bigger sites. The networking has helped me professionally too. Where do you see blogging in 5 years? Do you think you will still be blogging? I hope so! InshAllah. I intend to keep blogging as long as possible. 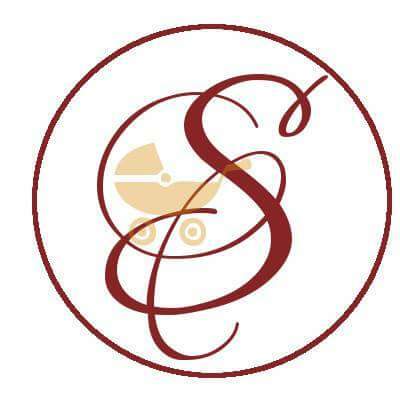 Probably my ‘topics’ might change then since currently my point of focus is mostly on babies and new moms As my baby grows and I learn about other aspects of parenting, my blog topics too might evolve from pregnancy, cloth diapering, baby wearing to young kids activities/food ideas etc. Insh Allah work on self promotion. It is something I struggle a lot, being an introvert. But I know very well now, the success of a blog not only depends on good content but also on the marketing and promotion behind it. Also setting up an email list and working on an opt in. Be consistent. Be present. People will not have anything to come back to your blog if you do not have content. Over the course of 9 years blogging with 3 blogs (including the current one), that is what I learnt the most. Consistent posting with specific niche always brings in blog traffic. Have an idea of who your target readers are will help a lot. It is easy to have ideas for blog post if you have found out your target readers and know their likes, dislikes, problems and have solutions for it. If you are going self hosted – Have a reliable hosting! Utilise Pinterest and Google. Yes both! Though traffic from social media is a good thing, there is nothing like passive, organic views from people actually searching for your blog/content and reaching there. They will always be your target readers. So invest your time in learning about Pinterest and SEO. 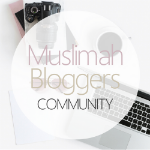 I would like to thank Muslimah Bloggers for selecting me as the featured blogger of the month. Also for forming a community of inspiring ladies who motivate and inspire each other. This group is one of my favourite Bloggers community.